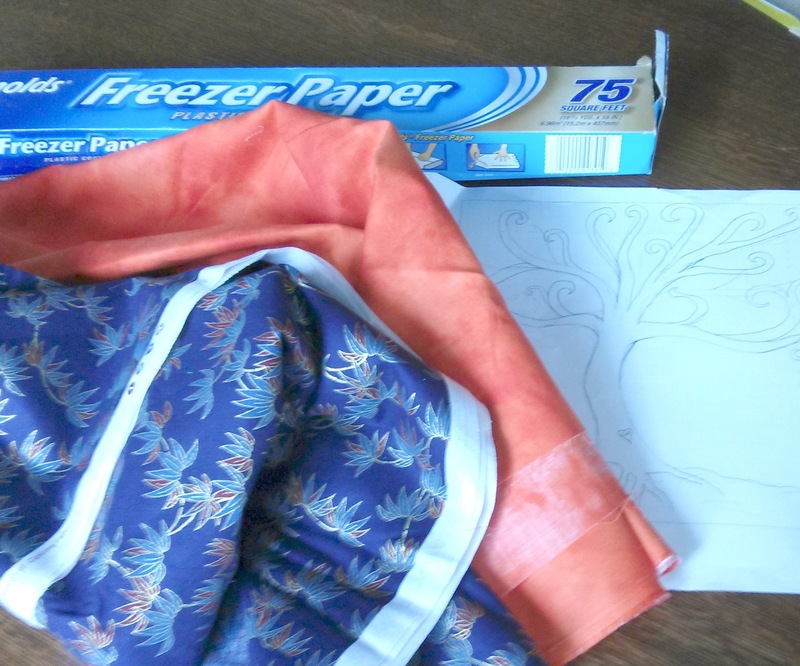 For this project, you will need: freezer paper, a pen, fabric. My fabric is “high contrast” so you can see what’s going on. Ahem. 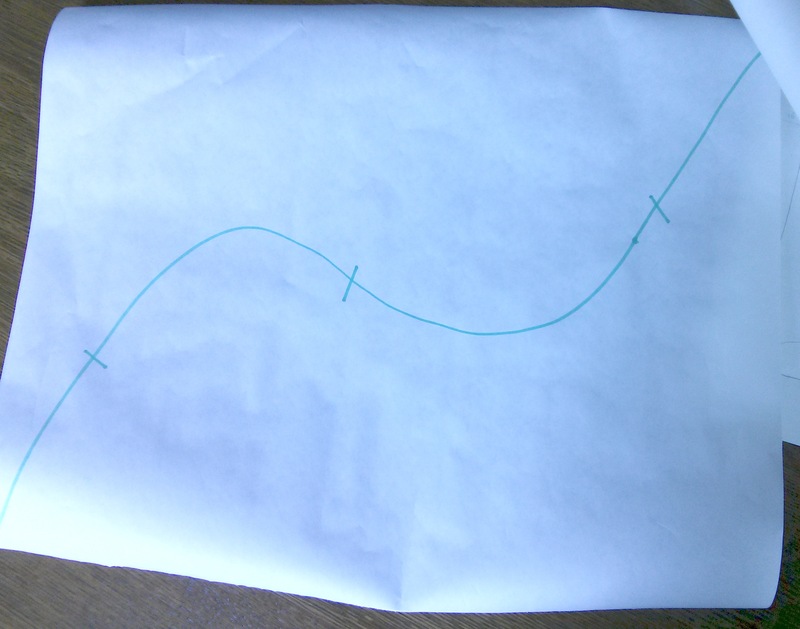 I drew a curve I would *not* want to piece. 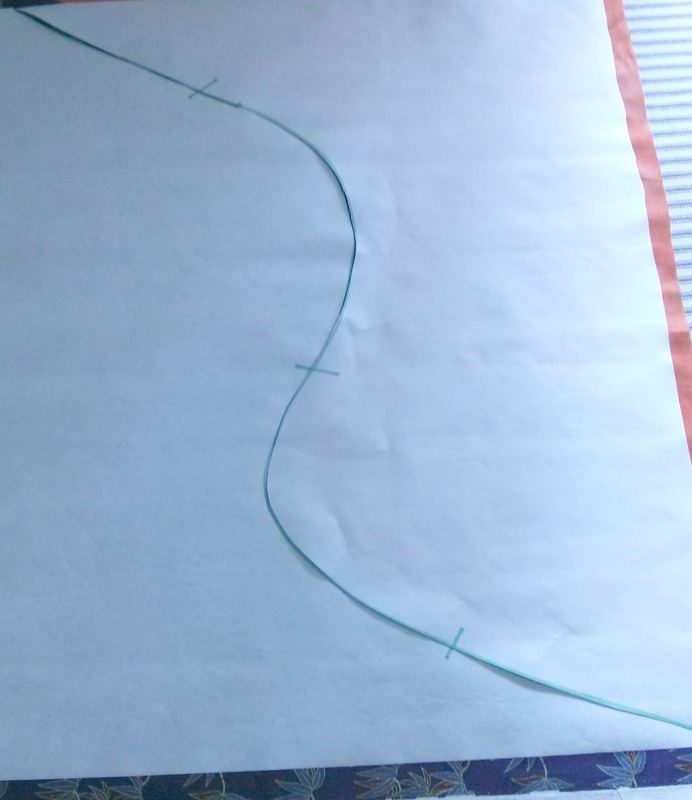 I then drew a few registration lines so I would be able to line it up again accurately after I cut it apart one the curved line. 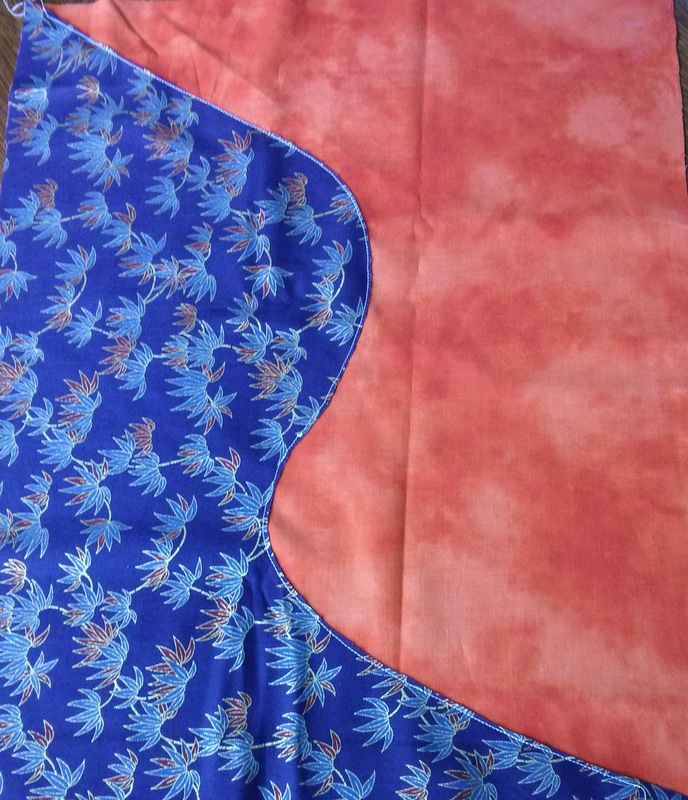 After I cut the curve apart, I ironed it to my fabric pieces on the right side, and trimmed them to 1/2″. I peeled back one of the freezer paper edges about half-way, and then laid the other across the top. 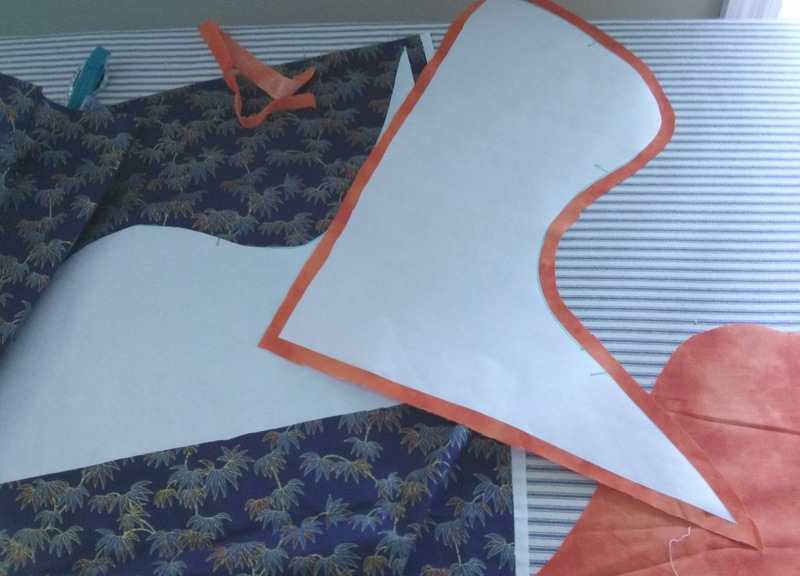 You have to peel back enough so that the 1/2″ of the fabric can be adequately sandwiched; the blue bamboo print will be held in place by the freezer paper that used to be fused to the orange. I lowered the freezer paper I had pulled back, and lined up the registration marks. When I had them perfectly aligned, I carefully pulled them apart so I could sew a seam between them. Then I ironed the freezer paper back down to firmly anchor the two pieces together. Not so exactly abutted. 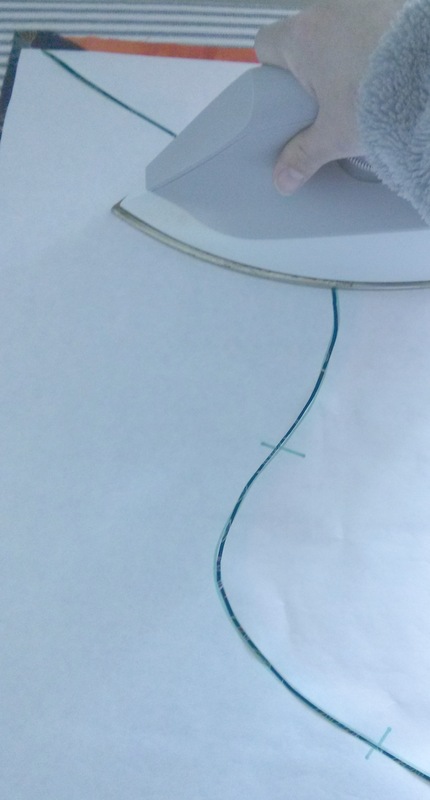 I now have a path for my needle to follow as I sew. 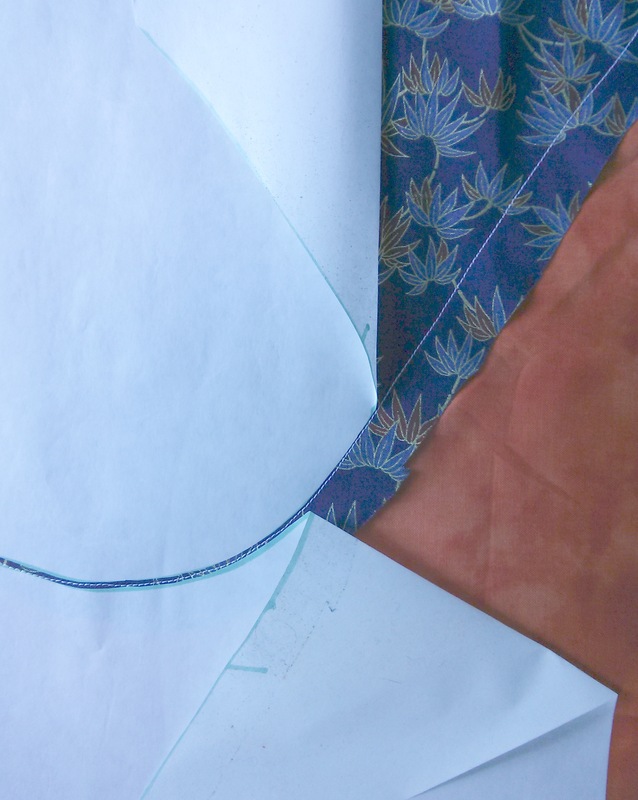 With a nice seam allowance to make sure you catch everything together, too! Trim with your duckbilled scissors (or the blunt nose scissors you borrowed from your kid’s pencil box, in a pinch. *cough*) along the seam, and finish off the edges how you wish to cover up the seam itself. Completely trimmed but with enough to allow for some fraying after washing. Not the best job, but I had a limited nap window that day! 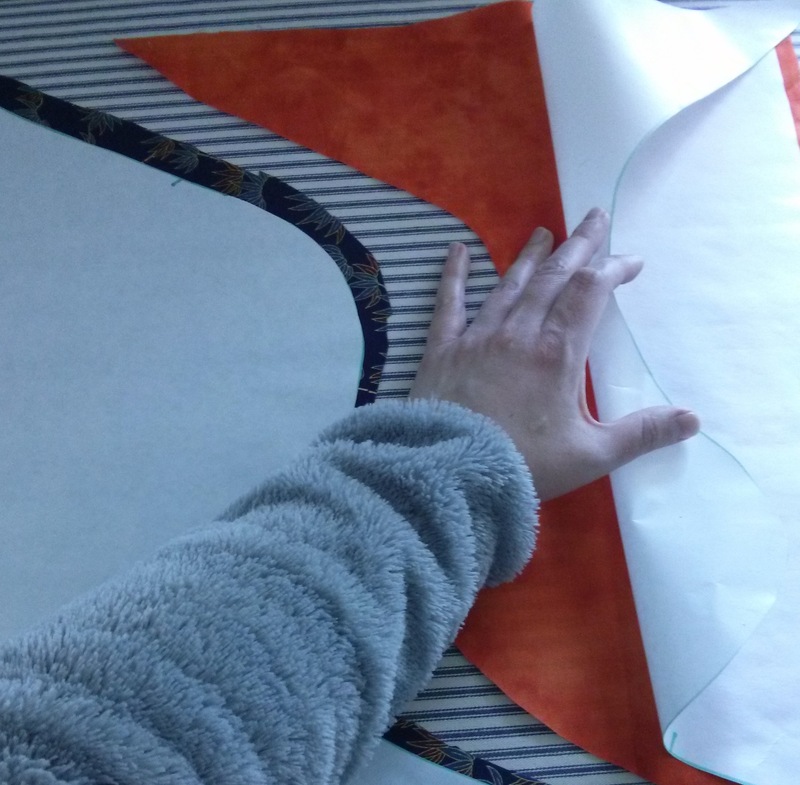 Since I am doing a raw-edge quilt, I don’t think this last step will be necessary for me because I plan to quilt over the top of my applique and outline it anyway. You could always do a satin stitch or, as Rose does, couch some really interesting stuff over the top, like yarns and other fibers. I am just getting into using Rose’s book Dream Landscapes: Artful Quilts with Fast-piece Applique and can tell there are going to be some really useful things as I work on my tree of life quilt. I know I didn’t cover whole applique pieces of multiple parts, but that’s what Rose does on her video and in her book. As I work on my Tree of Life quilt, I will show how I use this technique in my applique process. Hope this inspires you to do some applique of your own!